Turnkey system for 19” rack mount. In low power air cooled with thermal management in higher power water cooled. The Turnkey system is microprocessor operated and has standard interfaces as Analog, Serial (rs232) and TTL Control. 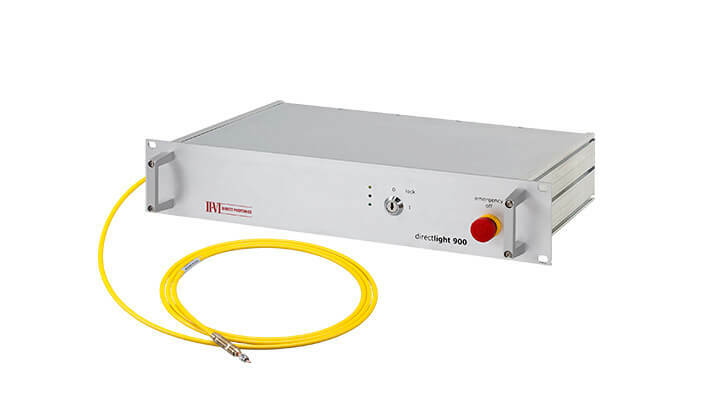 The laser system is equipped with an industrial, detachable fiber. USB, Analog I/O, Ethernet which allows local and remote operation and diagnostic. electronics and microprocessors with standard industrial interfaces. It features an ultra-high brightness beam performance and detachable industrial standard delivery fibers. An integrated micro-processor allows a fast modulation capability with pre-programmable pulse forms. The data logging capability and real time system health status monitoring enables a predictable life cycle management. The Light Engine is controlled via standard industrial interfaces as: USB, Analog I/O, Ethernet (TCP/IP), ProfiBus which allows local and remote operation and diagnostic. The System is monitored by Power Monitor, Back Reflection Sensor, Humidity Sensor, Temperature Sensor, Water Flow Sensor and Fiber Interlock (with QBH or LLK-HP). The DirectProcess FlexShape is a laser system with integrated beam shaping. Equipped with integrated drivers, microprocessor and standard industrial interfaces it features ultra-high brightness beam performance and remote controllable variable, rectangular, top hat beam profiles in various work distances. An integrated micro-processor allows a fast modulation capability. Real time health status monitoring enables predictable life cycle management. The Light Engine is controlled via standard industrial interfaces as: USB, Analog I/O, Ethernet (TCP/IP), and Field Bus wichich allows local and remote operation and diagnostic of the light engines status as well as the beam shape. The System is equipped with Power Monitor, Back Reflection and various health sensors. 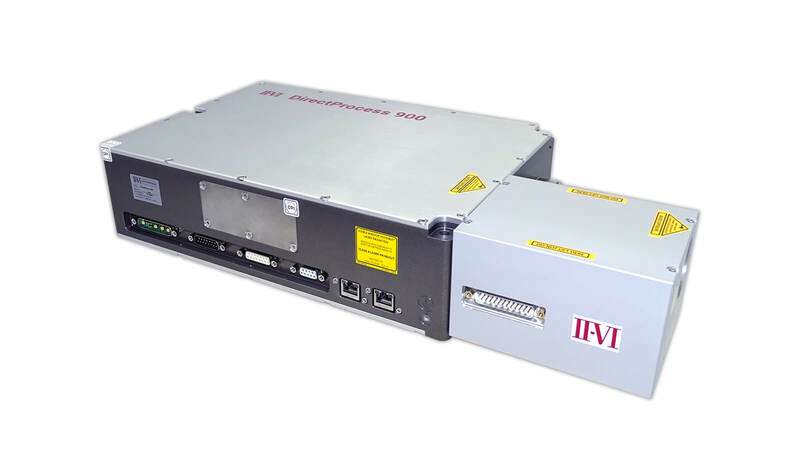 The DirectProcess FlexShape is a laser Engine with integrated beam shaping. 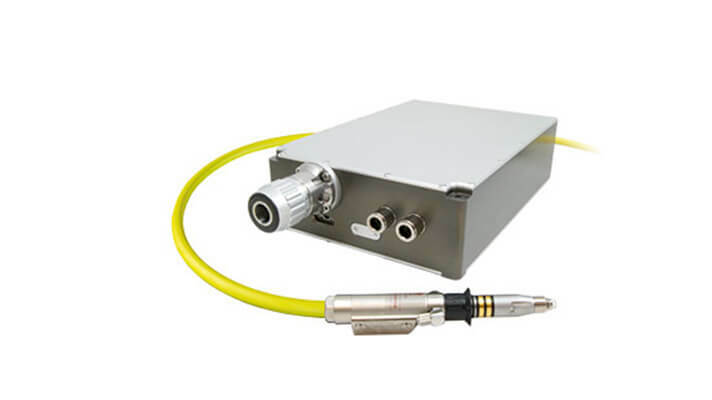 Based on II-VI propritary single emitter technology, a top hat beam parameter product of 6 mm mrad can be maintained by intrinsic beam shaping. Both axis of the DirectProcess 900 FlexShape Engine can be individually adjusted between 0.2 mm to more than 50 mm in various working distances. 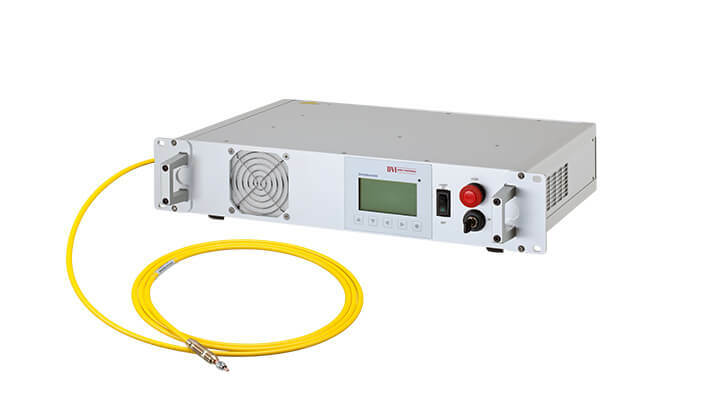 The Laser Enginge is based on a modular system and can be easily adjusted to your needs. Vertical or horizontal mounting on gantry or robot system can be done.